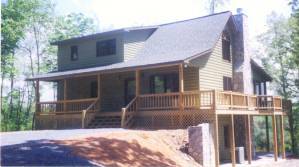 Come stay with one of Blue Ridge's oldest and best established rental agencies. Our customers are important to us, that is why we try just a little harder to provide them with the best cabins in the area. 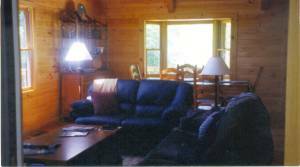 For example we feature this three bedroom three bath cabin with indoor whirlpool tub, out door hot tub, game room with pool table, fireplace, and satellite tv. Relax in the hot tub on the screened porch and listen to the stream below. Regular two night min. October and major holidays 3 or more night min. Deposit: The full rental fee is due 10 days before the first rental day. Other Fees: Sales tax 7%.